When garbage is thrown out, it either gets burned at incineration plants or compacted and buried in landfills . Burning trash produces toxic ash that's harmful to our environment, and there's already so much garbage in our landfills that we're running out of space! 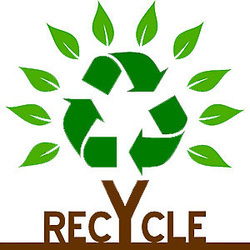 So the solution lies in recycling - the more we recycle, the less garbage ends up in landfills and incineration plants. And you can recycle nearly everything in your life. If it can't be reused, then it most likely can be recycled instead. If you are unsure of what to recycle, start small, start easy. The following are some items you could recycle ..!